Please join us in welcoming the newest member to the NeSI team! 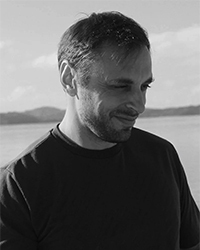 Marko joins NeSI's University of Auckland office as a Software Product Engineering Lead in the Collaboration & Integration team. He is an Electrical Engineer originally from Serbia, living in Auckland since 2007. Marko has been doing software for almost 20 years, in both smaller development houses and big multinationals, with a dash of entrepreneurialism on the side. Away from work, Marko enjoys time with his family, library, and Super Mario games.